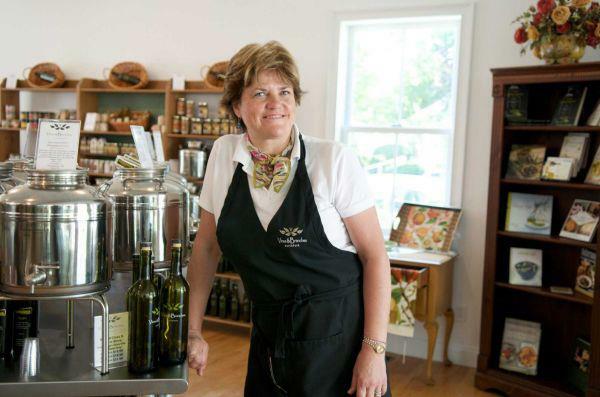 After working as a sales manager specializing in European wines, Rita Winkler, Owner of Vines & Branches, decided to follow her passion for olive oil and open an olive oil-balsamic tasting room and specialty food shop. Rita's major determining factor in following through on her vision was related to her battle with breast cancer in 2003. While recuperating from surgery and undergoing chemotherapy, Rita focused on replenishing and keeping her body strong. She found holistic therapy in the artisianal olive oils she had collected while visiting Europe on her wine travels. She used these olive oils as part of her daily dietary rehabilitation by taking 2 tablespoons a day and included them in her juicing and cooking. As a result, she never had a mouth sore, her skin and hair remained soft and supple, and her metabolism significantly improved.